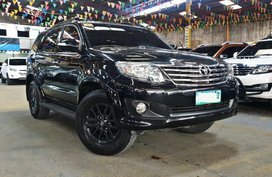 Welcome to the most complete auto classifieds site online in the Philippines! 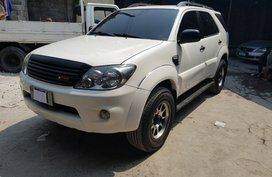 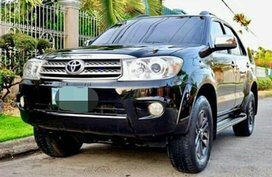 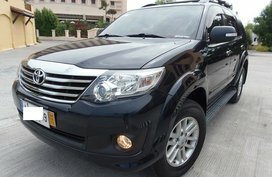 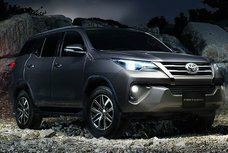 You are browsing the list of new Toyota Fortuner and used Toyota Fortuner for sale at best prices on Philkotse.com. 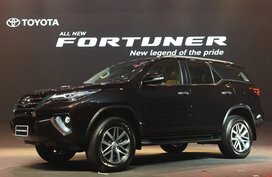 In our shores, the Toyota Fortuner has remained out-selling any other SUVs for years. 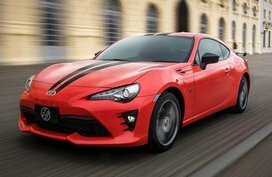 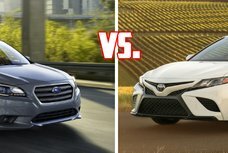 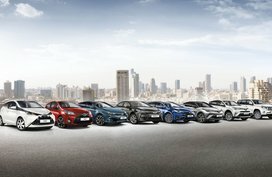 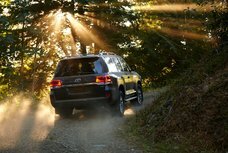 Taking advantage of the brand reputation, the car makes itself a mega-hit with a rugged look, upmarket, comfortable and practically spacious cabin, and its powerful, highly efficient engine. 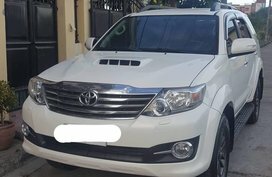 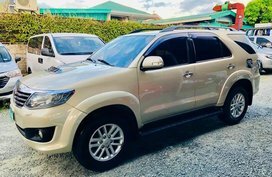 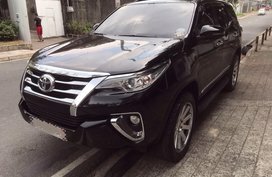 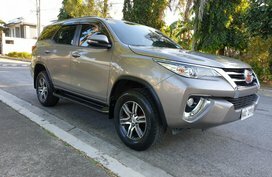 Coming equipped with such respectable features, the Fortuner car price is surprisingly affordable, starting from just around P1.6 million. 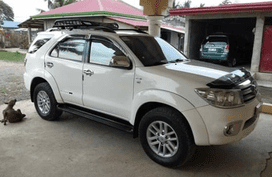 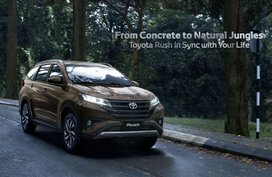 Back to the first generation Fortuner, it was launched in 2005 as a jointly-made product by both Thai and Japanese engineers, slotting below the Land Cruiser and just above the RAV4. 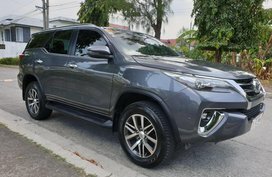 Up to now, although having spawned over almost 15 years, the Fortuner is only on its second iteration yet has undeniably become an iconic SUV not only in the local motoring market but also all over the world. 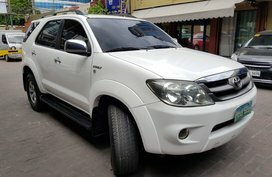 In 2008, Toyota Fortuner models received the first facelift with subtle updates such as third-row A/C, Bluetooth connectivity, and projector headlamps. 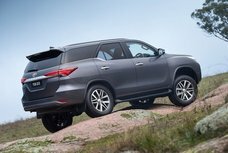 Three years later, more intense changes were made to the SUV with notable upgrades including a fresh Variable Nozzle Turbo diesel powerplant, and slightly bigger dimensions, not to mention a significantly revised front fascia. 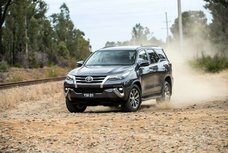 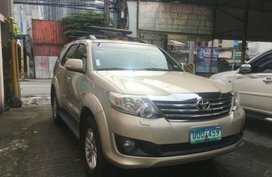 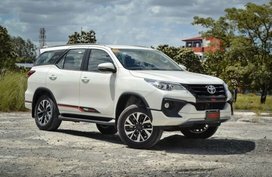 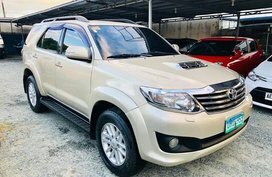 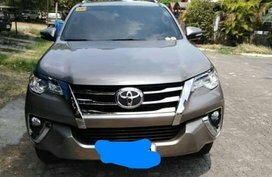 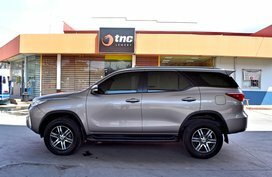 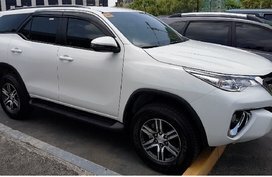 According to Toyota Fortuner reviews by car experts, the current-gen Fortuner, which is a handiwork of the Australians, has largely been found appeal with Filipino families thanks to its stunning look, sizeable dimensions, capable performance, roomy cargo, and passenger space and most importantly, its affordable price tag. 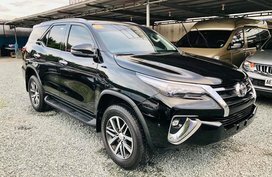 Similarly to its predecessor, the second-generation Fortuner is available in G and V flavors, with an option of either four- or two-wheel drive between gasoline-driven and diesel-fed powertrain (the former is limited to the entry-level version). 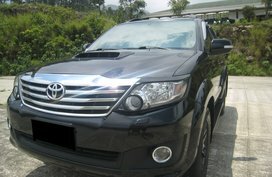 Interested in buying a car from our site? 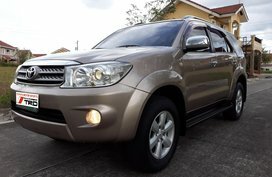 The seller’s contact detail of each listing is within easy reach, meaning it only takes you a few clicks to your next vehicle. 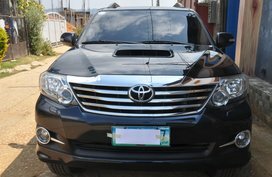 Don’t forget to thoroughly check the vehicle and related documents before making payment.